Aldea Walk, with its vibrant and tight-knit culture, is well-known among Buena Park home buyers. A modern community of eco-friendly townhomes close to the best that Orange County has to offer, Aldea Walk is the community to be in for anyone looking to live a modern life with all of the comforts of home. Buena Park is easily one of the most culturally rich and diverse cities in the Los Angeles metropolitan area. Established in 1887, Buena Park is a mature and stable community. With a wide range of shopping, entertainment, and dining options, Buena Park is one of Orange County’s most brilliant cities. Attractions such as Knott’s Berry Farm make the city a wonderful vacation destination, but the people of Buena Park elevate it to the perfect place to call home. Living in Aldea Walk provides you with access to all of the best that Buena Park has to offer, without the disadvantages that come with urban living, such as high prices and a lack of privacy. A gated community, Aldea Walk is just secluded enough from the busy city to provide peace of mind and nurture a genuine, welcoming neighborhood, while being in the very heart of Buena Park and only a short drive from downtown Los Angeles. Since its opening, Aldea Walk has been one of the most sought-after Olson Homes communities. The demand for high quality, eco-friendly, and affordable homes in the on-the-move city of Buena Park isn’t surprising, as individuals and families are looking for a secure place to call home with access to all of the advantages of Buena Park. Aldea Walk makes it so that you can find that balance of peace and excitement without breaking the bank. If you’re looking to live in Orange County, but you haven’t decided where to move, or if you already have your eye on Buena Park, we at Olson Homes invite you to explore the options available to you in Aldea Walk. We believe you shouldn’t have to choose between urban life and the comforts of a welcoming small town; instead, have the best of both worlds at Aldea Walk: http://www.aldeawalk.com/. Come tour the models at any of our communities this weekend and ask the Home Advisors for more details about the Move-in Ready Homes on Olson Homes Hot List. Click here to see what homes made the Hot List! Sales offices are open Monday to Friday 10:00 am to 5:00 pm and Saturday & Sunday 10:00 am to 6:00 pm. Furniture maker buys Rosemead portion of former Wham-O lot shared with San Gabriel home project. Moving In: San Gabriel side of former Wham-O and Huy Fong factories where Olson Co. is developing a residential project. Photo by Ringo Chiu. When the Olson Co. picked up a nine-acre industrial site of the former Wham-O Inc. toy factory in Rosemead 2014, the plan was to go after the booming San Gabriel Valley housing market with a residential subdivision. But after Olson bought the property for $17. 5 million from Sriracha maker Huy Fong Foods, which was decamping for a larger space in Irwindale, the company took a harder look. Not only was the site bisected by the Rubio Wash, a channel that forms the city line between Rosemead and San Gabriel, but the large industrial building was built across the waterway, kind of like a bridge. Jeff Allred, city manager for Rosemead, said Olson had briefly entertained the idea of building housing on both sides, adding that the city of Rosemead wasn’t necessarily opposed to a residential development. In the end, said Olson Chief Executive Scott Laurie, rather than seek entitlements in two municipalities and dealing with the environmental challenges of construction around the wash, the company subdivided the property, chopped the building in half and listed the Rosemead portion on the east side, where Huy Fong did most of its production, as an industrial property. The west side of the building was razed. “From a planning standpoint, it was more effective for us to build (residential units) on the west side of the channel in the city of San Gabriel rather than trying to be in two cities at once,” Laurie said. After several months on the market, Olson late last month struck a deal with Darlee Outdoor Living Inc., an Irwindale patio furniture manufacturer, to buy the vacant 77,000-square-foot industrial space at 5045 Earle Ave. for $5.5 million. Darlee representatives declined to comment on the purchase, but industry sources said the company plans to use 30,000 square feet as a warehouse and lease out the rest. The industrial property sits on the 2.5-acre portion of the site that sat in Rosemead. In 2014, Olson demolished the portion of the building that fell in the 6.5-acre San Gabriel site and is in the midst of construction of Mission Walk, a 92-unit townhome and single-family residential project that will begin pre-sales in May, though construction won’t be completed until early 2017. The development includes 88 townhomes and four 1,719-square-foot single-family units. The three-story townhomes, which will range from roughly 1,300 to 2,200 square feet and have two to four bedrooms, will be listed next month for $400,000 to more than $600,000, Laurie said. The homes would be priced in line with values in the region. According to February home sales data collected by Redfin, the median home in the San Gabriel ZIP code that houses Mission Walk sold for $391 a square foot. Olson also is creating a pedestrian and bicycle trail that is to run about two-tenths of a mile south to Grand Avenue, a path that would cut through city-owned land adjacent to the development. The trail, along with Olson-funded street paving, new sidewalks and other upgrades to the surrounding area, made the project attractive to the city, said Mark S. Gallatin, San Gabriel’s planning manager. The residential project signals positive change for the area, he noted. “The Olson project is the largest residential project in San Gabriel in a generation, and it’s an indication that there is a demand for new housing in the neighborhood,” he said. Laurie said Olson, based in Seal Beach, remains bullish on the San Gabriel Valley, with projects in Temple City, Pasadena, El Monte, Monterey Park and Walnut. “There is limited competition and strong demand for new housing as the entitlements are challenging and opportunities are scarce,” he said. Olson plans to hang a plaque somewhere in the Mission Walk project commemorating its industrial history, said John Reischl, director of development at the company. Wham-O began manufacturing Hula Hoops and Frisbees on the site in the 1950s, and moved out in the early ’80s. Huy Fong set up shop there in 1986, and stayed until its move last year to Irwindale, where the company ran into some well-documented trouble. Irwindale residents began complaining about a strong smell coming from the factory not long after the company moved in, saying fumes burned their eyes and throats. The city filed a lawsuit and public nuisance declaration against Huy Fong. In response, Huy Fong founder David Tran began publicly discussing moving the factory out of Irwindale. But the city and the condiment maker made peace in May 2014 when the Irwindale City Council dismissed the lawsuit and Tran made some changes to the plant’s filtration system. Take A Snow Day with Olson Homes! Celebrate the season with us at Olson Homes’ Winter Event this Saturday December 6 from 11am to 2pm at 3 of Olson Homes’ new communities. Sled in to a snowy winter wonderland, warm up with some cookies and hot cocoa, then explore our brand new model homes at Montecito Walk in Montebello, Legacy Walk in Fullerton, and Linden Walk in Temple City. Take a snow day and take advantage of our 3.375%* interest rate on select homes with low monthly payments Olson Homes’ Winter Event. *Based on Conventional Loan at 80% LTV with an interest rate of 3.375%, and estimated APR of 3.3758% on select homes. Let Olson Homes help you own that new home that you’ve been dreaming of. For a limited time, we are offering a 3.375%* interest rate on a 30 year fixed loan on the home listed below. That’s right, you can live worry free for the next 30 years! Stop by today and get more details. *Special interest rate only on selected homesite listed above. Rate is subject to change based on buyer credit worthiness and other factors. Payment is factored with 20% down and is principal and interest. Taxes, insurance and HOA dues are not included. OLSON HOMES IS OFFERING GREAT NEW INTEREST RATES GOING ON NOW FOR 30 YEAR MORTGAGES ON SELECT HOMES! This means a low monthly payment for you! 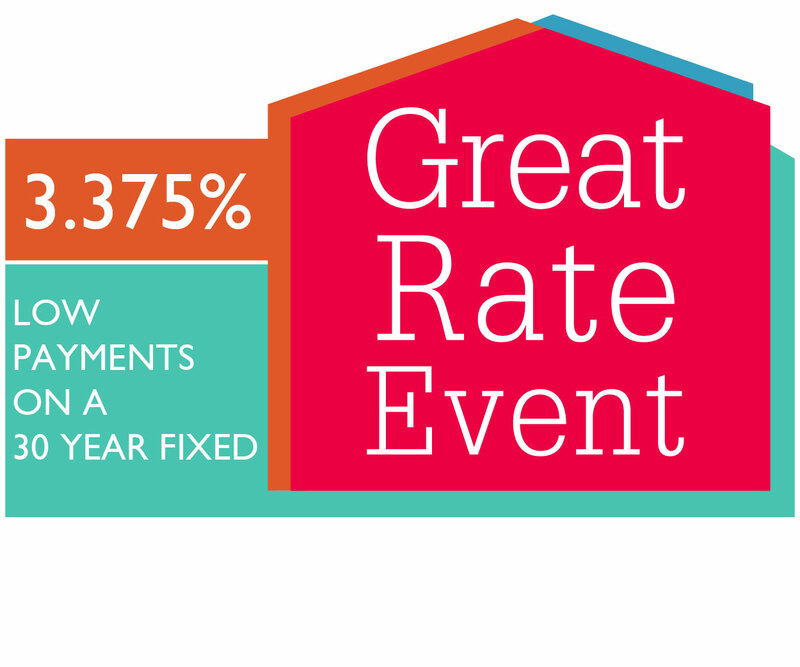 Olson Homes Great Rate Event is an opportunity for you to get a reduced interest rate of 3.375%* and move into a brand new home before the holidays. Don’t miss out on this chance to get the lowest mortgage interest rates around. Offer is on select homes while they last! Click here for a list of all of our communities. *Special interest rate only on selected homesites. Rate is subject to change based on buyer credit worthiness and other factors. *Special interest rate only on selected homesites listed above. Rate is subject to change based on buyer credit worthiness and other factors. Payment is factored with 20% down and is principal and interest. Taxes, insurance and HOA dues are anot included. Open House at Compass Walk! Open House from 10:00 a.m. to 6:00 p.m. this Saturday and Sunday at Compass Walk! Don’t miss out! There are only 4 homes left at Compass Walk in Placentia! These homes offer 3 to 4 bedrooms, 2.5 to 3 baths in 1,592 to 2,201 square feet of living space with rear yard landscaping and upgraded flooring. Compass Walk is a great community located close to dining, shopping and entertainment. Stop by today for more information. Sales office is open daily from 10:00 a.m. to 6:00 p.m.
Only A Few Homes Remain at Compass Walk! Only a few homes remain at Compass Walk in Placentia. Homeowners have already moved in and are calling Compass Walk home. These homes are centrally located to shopping, dining and entertainment. Homes offer 3 to 4 bedrooms and 2.5 to 3 baths in up to 2,181 square feet of living space. Stop in today to tour the model and purchase one of the remaining homes. Compass Walk's Final Phase Release This Saturday! Final phase release at Compass Walk is this Saturday, May 31st. This final phase will include Compass Walk’s beautiful model home. The model home offers 3 bedrooms, 2.5 baths in 1,752 square feet of living space with amazing upgrades throughout the home. Time is running out to own a new home in Placentia. Stop by today!